Gopal worked for a major cleaning company that had a contract to clean homes on an hourly basis on behalf of a major NZ Charitable Organisation. Gopal’s immediate boss suggested to him that for each job he did, he was to inflate his hours so his employers would get a better return from the Charity. Gopal was concerned that this was neither honest nor ethical. He did not know who to turn to so he could pass on his concerns. Gopal was afraid of losing his job if he complained to his immediate boss and he assumed the owners of the company were part of the scam. 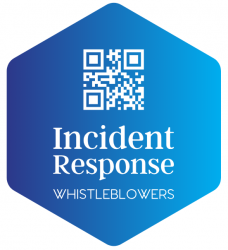 Fortunately the company had a ‘whistle-blowers’ policy and Gopal was able to pass on his concerns anonymously to the caller taker and subsequently the Charitable Organisation were alerted to the matter.